I was surprised and delighted to see Dream Today win on his Meydan debut last Thursday! I had felt that we were in danger of rushing his preparation for the Carnival having only bought him at Tattersalls on the 30th of October last year. His work had confused me since his arrival, he showed us tremendous speed for a horse that had been running at up to 10f. He galloped like a sprinter but the form book suggested otherwise! Following much debate with The Melbourne10 and his breeder John O'Connor of Ballylinch Stud we decided to run with our hunch. Thankfully he translated his homework to the track and won like a proper 6f horse. As you can see from the photograph he doesn't have a typical sprinter's physique - he actually doesn't look very well at all yet! I hope that the desert climate and our acceptance that his immediate future lies at 6f will see his condition improve. As a sprinter he is still an unknown quantity. He debuted as a 2yo over 7f and finished runner up in a Gr3 over a mile, his first 6f race was last Thursday. 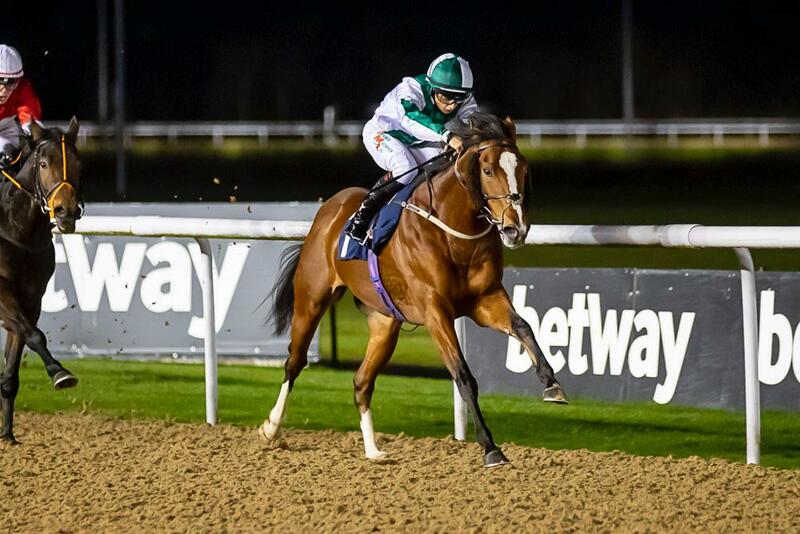 Freddie De Giles will continue to oversee his preparation for his likely next race, the 95+ 6f handicap on Feb 7th. I always try hard to be a realist but I can't help dreaming that this horse could just progress into a top class sprinter through the next few weeks. Only 40% of The Melbourne10 attended this week, I have a suspicion a few more will be flying in for his next contest!